Find a better way to download, search, filter and understand millions of articles and books published on ScienceDirect. All Elsevier journals and books enable text and data mining (TDM). Find out more today. Published articles and books already contain the information that you might be seeking and text mining is an ideal way of unlocking that knowledge. Articles and book chapters are also curated and are a trusted source of information and more importantly there is a lot of it across all disciplines stretching right back to the first published article! Text mining requires you to first access and download the content you wish to mine and then run special text mining tools over that content to find what you are looking for. You can access and download subscribed content you see in HTML or PDF format on Science Direct by using our full text article programming interface (API). This is an easy and simple way for you to bulk download Elsevier content for non-commercial research text mining purposes. You can get access to the full text API via our developers portal. Our API includes open access content but you can also mine OA content using the DOI retrieval function http://api.elsevier.com/content/article/doi/[DOI] which your automated script can run on. Be more efficient: Web crawling is an inefficient method of harvesting large quantities of content and by using our APIs you can quickly and easily access and download the data you need. Retrieve your data in a better format: Elsevier converts our journal articles and book chapters into XML, which is a format preferred by text miners. Want to mine across different publishers? When you start text mining you will inevitably want to do this across multiple journals published by different publishers. This presents a logistical problem. To make text mining easier we support the Crossref TDM service. 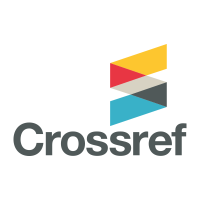 This free service provides you with the Crossref Metadata API that can be used to access the full text of content identified by Crossref DOIs across publisher sites. Text mining relies on the use of Natural Language Processing (NLP) tools. 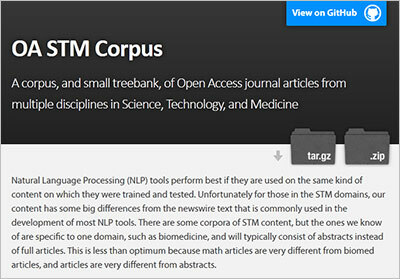 In order to develop and refine NLP tools that will work specifically on scholarly literature we have created an open access corpus of articles. These can be useful for you to test and refine your tools.